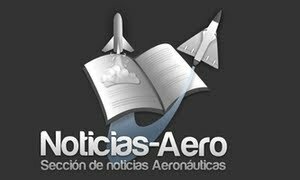 Bruselas.- El cielo único europeo, el proyecto emblemático de creación de un espacio aéreo europeo único que triplicaría la capacidad y reduciría a la mitad los costes del tráfico aéreo, no está dando resultados, según reconoce en un comunicado la Comisión Europea en el décimo aniversario del proyecto. Electric Racing Plane Company Sets Sights On Speed Record: Teaco Bat Could Top Current Record Of 202 Miles Per Hour The U.K. company developing an electric-powered racing airplane hopes to be able to break the speed record for electric aircraft next year. The founder of The Electric Aeroplane Company (Teaco) in Gloucestershire, U.K. says the airplane may be "substantially faster" than any previous electric-powered aircraft. United Airlines Supports Breast Cancer Awareness Month With Pink Program: Wearing Pink Uniform Accessories From The Cockpit To The Ramp United Airlines employees are showing their support for Breast Cancer Awareness by sporting pink uniform items throughout the month of October. United's Pink Program allows frontline employees to purchase exclusively-produced pink uniform items to wear to work – including ties, neck scarves and hats – with proceeds benefiting nonprofit organizations dedicated to breast cancer awareness, greater access to screening services and support services for individuals battling breast cancer. 10/15/2012 - NELLIS AIR FORCE BASE, Nev. (AFNS) -- Retired Brig. 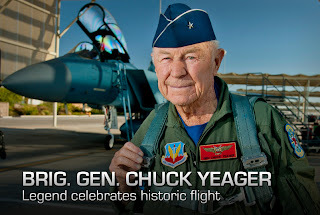 Gen. Chuck Yeager, the first person to fly faster than the speed of sound, celebrated the 65th anniversary of his ground breaking event with a re-enactment here Oct. 14. Yeager was serving as a test pilot and flying the experimental Bell X-1 named the, "Glamorous Glennis," Oct. 14, 1947, when he successfully broke the sound barrier. "Up until that time we weren't able to do it," Yeager said. "Finally, in Oct. 14, 1947, we succeeded, and that opened up the doors of space to us." Yeager's re-enactment flight began when he and the aircraft's pilot, Capt. David Vincent, 65th Aggressor Squadron pilot, flew an F-15D Eagle to 45,000 feet over Edwards AFB, Calif., and at 10:24 a.m. broke the sound barrier again. "It was the greatest moment of my life so far," Vincent said. "It's like being with Christopher Columbus when he discovered the new world or like being with Orville and Wilbur Wright on the first flight." Vincent said Yeager hadn't lost a step and pointed out landmarks over Edwards AFB. "It was a smooth flight today," the general said. "I'm very familiar with the area and got a good view." Yeager finished his day with a meet and greet with Nellis Airmen followed by a question and answer segment. "I want to thank you all at Nellis," Yeager said. "The F-15 is my favorite airplane, and that's why I came here to fly it." Yeager enlisted as a private in the U.S. Army Air Forces Sept. 12, 1941. 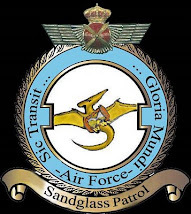 Later he was accepted to flight training in the flying sergeants program and, upon completion, was promoted to flight. Yeager demonstrated his flying skill during World War II when he became an, "ace in a day" after downing five enemy aircraft in one mission. "What I am, I owe to the Air Force," Yeager said. "They took an 18-year-old kid from West Virginia and turned him into who I am today."